Can I light a fire in my backyard in Warrnambool? Its the Fire Danger Period! The fire danger period is a part of the year where due to the weather and the dryness of the country you are restricted from certin actiivites or must take certain steps to reduce the chances of a fire starting. During this time of year we also can have Total Fire Ban days; these are days when the risk is greater and we put more restrictions on activites in place to again reduce the risk of fire. We started operating from our new station in Mortlake Road Warrnambool in April 2016. The Station was Officially opened by Gayle Tierney MLC member for Western Victoria on the 23rd of October 2016. The Warrnambool Fire Brigade held its annual dinner and presentation night at the South Warrnambool Football club rooms, overlooking the Brigade’s running track at the Friendly Societies Park on Saturday 16th July, 2016. Fire Fighter Mick Corbett was master of ceremonies for the evening which included the presentations of the Brigades’ service awards. The dinner was attended by VFBV Board Member Mick Nunweek and his wife Jill, Assistant Chief Officer Bob Barry, Operations Manager Richard Bourke, Mayor Cr. Kylie Gaston and newly appointed OIC Paul Marshall and his wife Roz. ACO Bob Barry presented Max Smart with the Third Bar of his NATIONAL MEDAL. 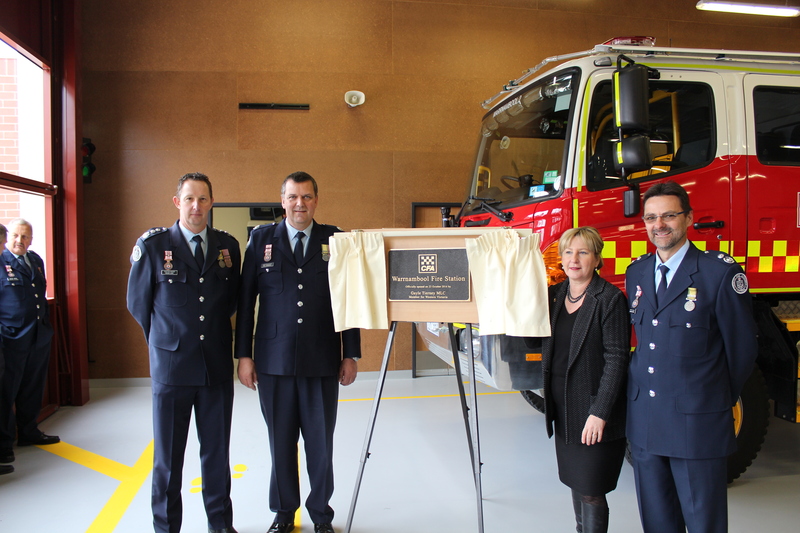 There were a number of reasons for celebration on October the 23rd when Warrnambool’s new fire station was officially opened by Ms Gayle Tierney (Member for Western Victoria). 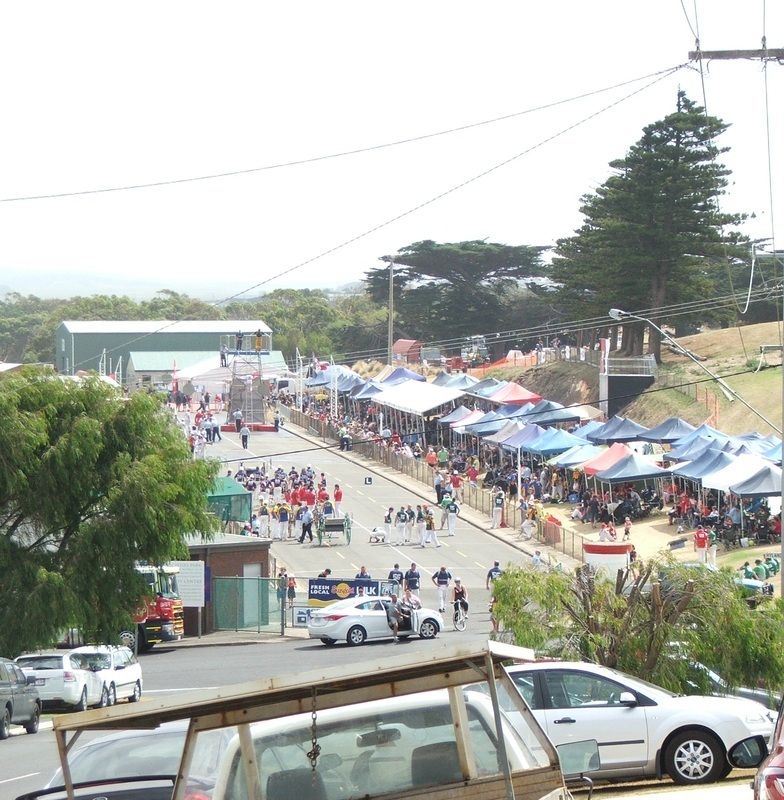 The weekend of the 9th, 10th and 11th of March 2013 was very busy for the Warrnambool Fire Brigade. After successfully running the Junior State Championships, we continued on with the running of the VFBV Senior Urban State Championships. Just under seventy teams competed, including two from Western Australia. Sensational weather peaked on the Monday when the temperature reached over 38 degrees, and the action on the track was just as hot! Special thanks goes to VFBV, CFA, Major Partner Origin Energy and sponsors Telstra Store Warrnambool, GAAM, Chubb, and The Whaler's Hotel. Click HERE for more Championships information. Warrnambool Fire Brigade would like to thank eResources Warrnambool for their support in the establishment and continuity of our website.